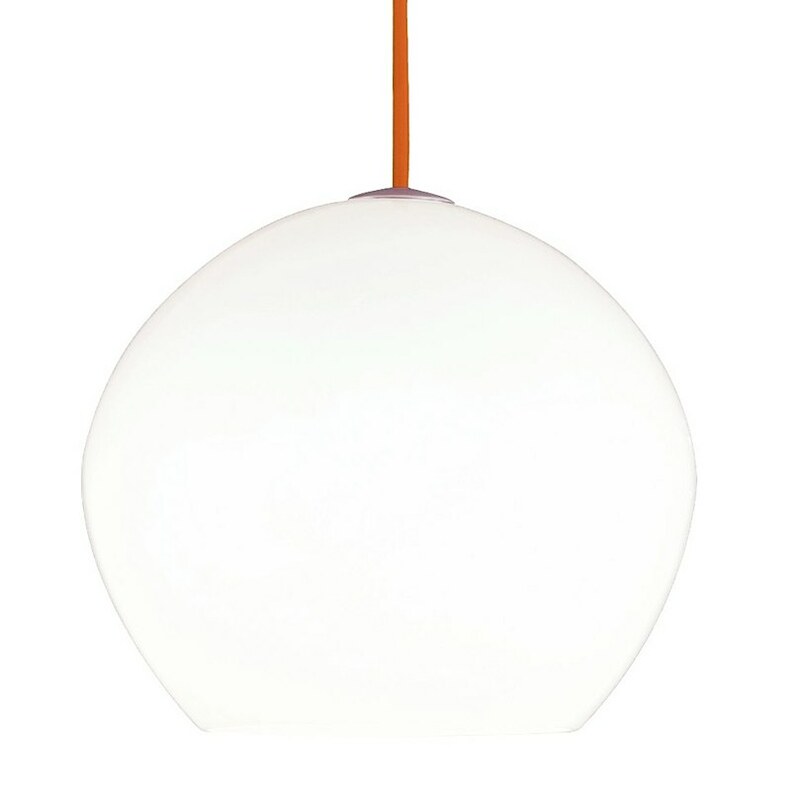 The Cleo pendant has a sleek and modern look! This contemporary piece says everything with its clean hand-blown glass globe and colored cloth cord. With white glass, it is available with bronze, black, satin nickel or white hardware. With a pop of orange in the cord, this pendant has a fun and fearless way of making a statement. The Cleo includes a 120 volt, 75 watt or equivalent medium base A19 lamp or 32 watt GX24Q-3 base triple tube compact fluorescent lamp (electronic ballast included) and is provided with six feet of field-cuttable cable. The incandescent version is dimmable with a standard incandescent dimmer.